AMBEO VR Mic: The new standard in 3D audio capture from Sennheiser lifting VR audio production to a new professional level. With the AMBEO VR Mic you are able to seamlessly record sound that immerses the listener bringing them a whole new and highly emotional experience. 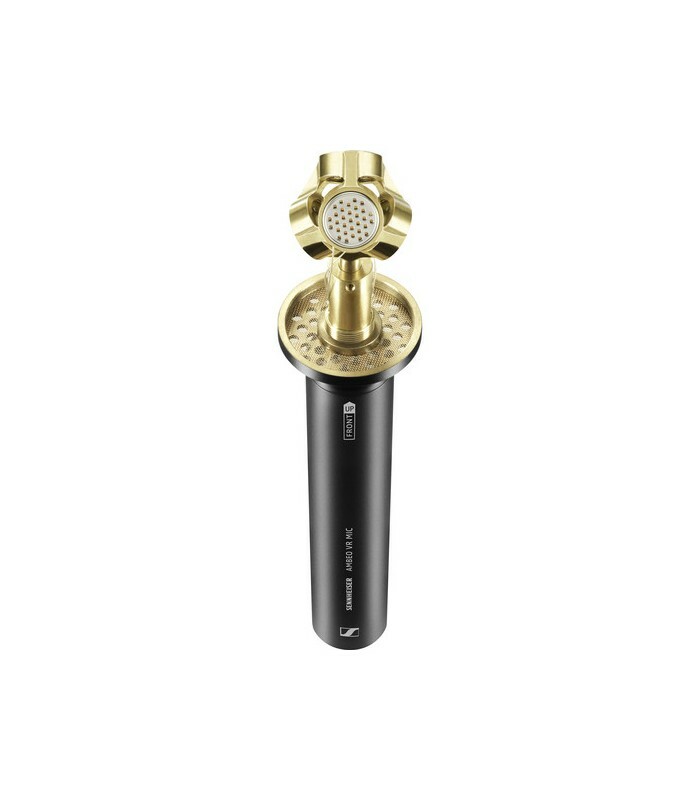 Designed for 360° immersive applications, the Sennheiser AMBEO VR is a microphone intended to bring the full vision of VR content creators to life in all its four-channel glory. 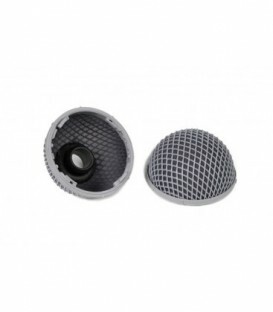 Indeed, the microphone utilizes four KE 14 capsules situated in a tetrahedral arrangement to ensure that from wherever you're standing, the AMBEO will record the surrounding audio in a spherical manner, resulting in true Ambisonics recordings. The science behind these principles is a bit arduous to lay out in the space provided for this description (indeed, multiple dissertations have been written about the Ambisonics format—developed by the British National Research Development Council in the 1970s); the principles are, however, of interest to the VR community, which utilize the technique to capture truly immerse aspects of any given sonic picture, giving you the left, right, bottom, top and center of the image in a way especially suited to the VR experience. 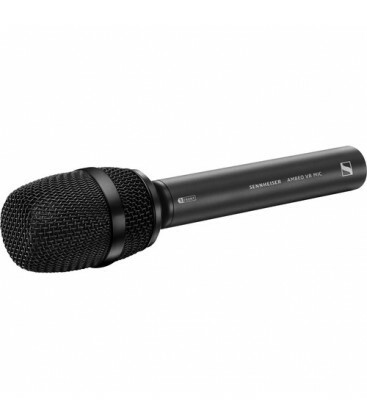 To help in working with the resulting audio in post-production, the microphone comes with a format encoder that will work in AU, AAX, VST, and standalone formats. 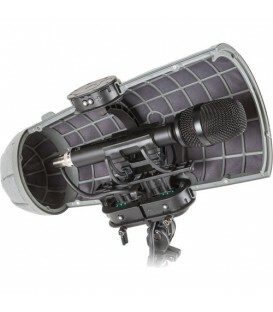 Also included are a Rycote suspension mount, a split-cable designed to connect the microphone to four separate XLR terminations, and a windshield. The AMBEO VR Mic has been developed in cooperation with VR content producers and fine-tuned in conjunction with participants from across the audio and VR communities. 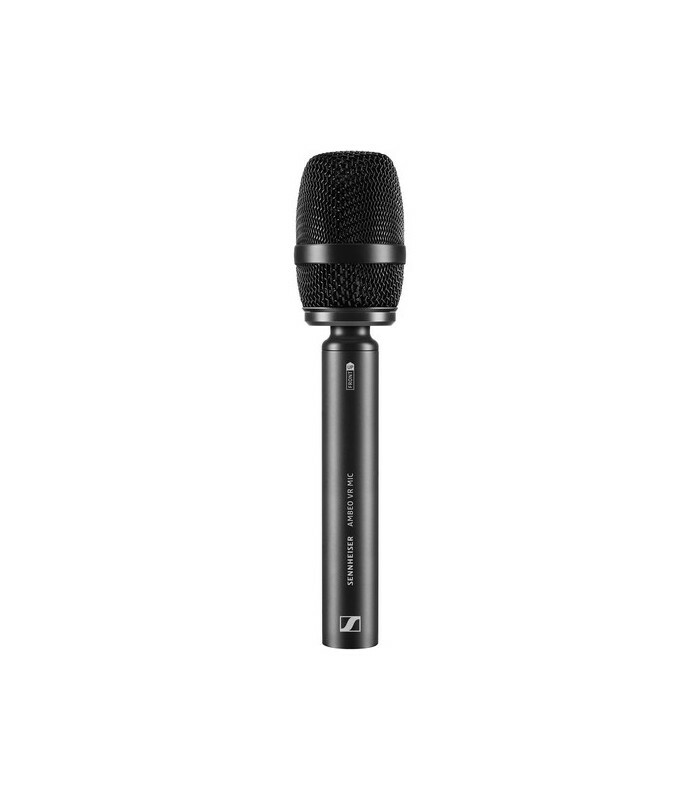 Thus, the mic caters exactly to the needs of VR content creators, facilitating the audio capture of any location, and enabling the listener to be immersed in a way commensurate with the visual component of the VR experience. 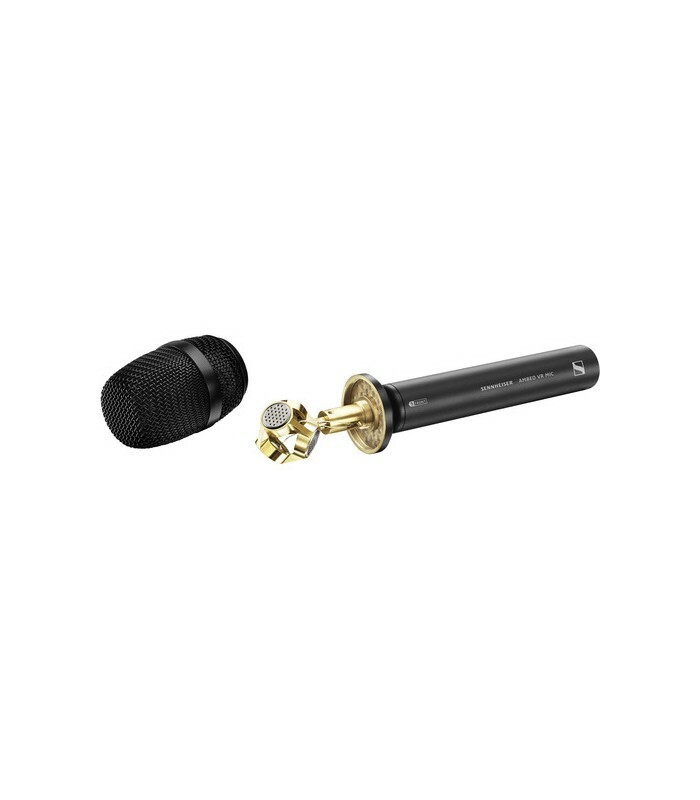 The AMBEO VR Mic is an Ambisonics microphone fitted with four matched KE 14 capsules in a tetrahedral arrangement. This design allows you to capture the sound that surrounds you from a single point. As a result, you get a fully spherical, Ambisonics picture to match VR video/spherical 360° content. 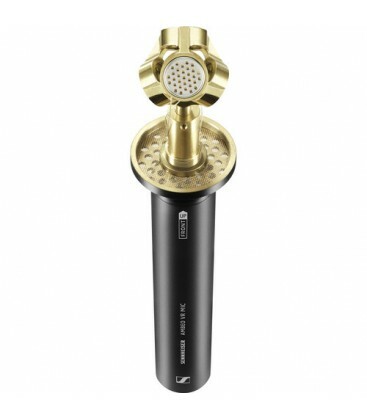 - Single-point microphone for Virtual Reality content. - 4 matched capsules in a tetrahedral cluster. - Captures spherical, fully spatial audio in Ambisonics format. 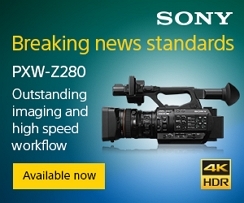 - Well suited to work with 360°/VR video capture. 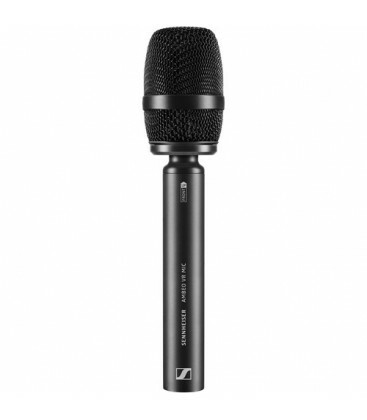 - Portable and rugged to meet the demands of various recording conditions. - A-B format converter (for use in post-production). - Available as a VST, AAX, and AU plugin for DAWs. - Plug-in can correct the microphone's physical positioning and rotate its direction. - Plug-in allows for different output standards, including YouTube 360 video.